As soon as you get pregnant it seems that everyone has advice on what not to eat, but no one seems to be able to tell you what to eat. That’s where Pregnancy Bites comes in! They are offering a free weekly pregnancy and nursing meal plan. All you need to signup is your name, email address and how far along you are in your pregnancy. 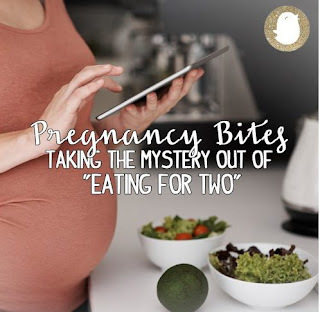 Then each week, they will send you a complete meal plan assembled by registered dietitians that meets all the nutritional requirements for that stage of your pregnancy! Pregnancy Bites meal plans provide 150-200 kcals above the average calorie level during the first trimester and 350-450 kcals above the average calorie level for the 2nd and 3rd trimester. Pregnancy can be tough, eating healthy shouldn’t be.